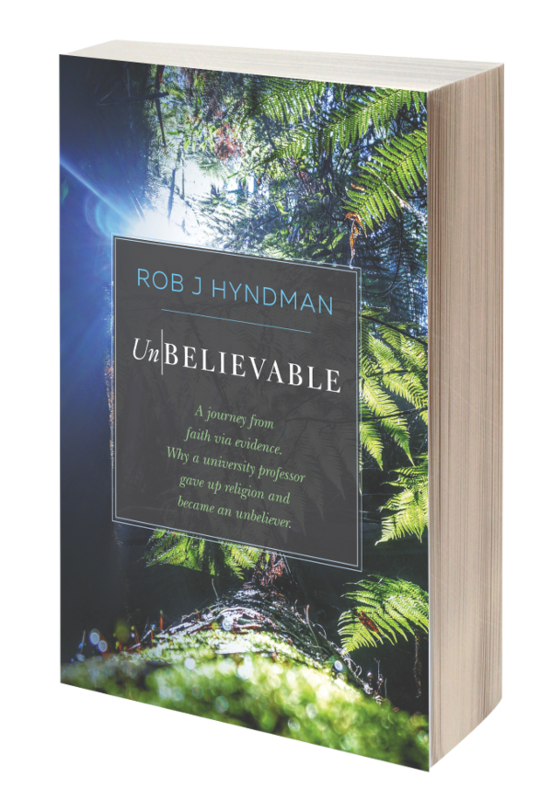 Ex-Christadelphians: Extract from 'Living on the Edge' - Are Christadelphians Skeptical? Extract from 'Living on the Edge' - Are Christadelphians Skeptical? Editor's note: This is a sample of text from the forthcoming new book by Jonathan Burke. See my comments at the end. "All valid truth claims (statements represented as factually true), can and should be tested, especially if they are controversial, extraordinary, or make specific demands on others (such as requests for money or changes in personal behavior). Skepticism is a natural instinct we all have, which helps to protect us against false claims. Although people differ in their levels of personal skepticism, the vast majority of people have a reasonably similar degree of skepticism towards any claim requiring personal investment of their time or other resources, and the more extraordinary a claim is, the less likely it is to be believed. As surprising as it may seem, skepticism has been a valued and well exercised attitude in the history of Christianity, from its earliest years. The Christian tradition of skepticism is completely comprehensible from the point of view that anyone attempting to recruit new members to a belief system must generate and encourage skeptical thinking in those they wish to convert; without such an attitude, potential converts are considerably less likely to question what they already believe. However, early Christians did not simply encourage potential converts to be skeptical of what they already believed, in order to make them easier to preach to; they also valued and praised a general atitude of skepticism, even when directed towards the message they preached. This questioning tradition certainly has its roots in Old Testament books such as Job, and the New Testament itself contains acknowledgment that skepticism, doubt, and a desire for reliable evidence may co-exist with faith in the mind of the believer; the disciple Simon Peter is a very well known example. Jesus himself accommodated the doubts of the disciple Thomas, who needed to see and touch Jesus for himself before he was prepared to believe in the resurrection. Importantly, in the New Testament such doubt is dealt with by appealing to testable evidence rather than by a command to believe without question. In the book of Acts the inhabitants of Berea are praised for intestigating critically the truth of what Paul was saying (Acts 17:11), and Paul himself urged the Thessalonian Christians to ‘examine all things; hold fast to what is good’ (1 Thessalonians 5:21). Socio-cultural factors also encouraged skepticism within the early Christian community. Application of skepticism and critical thinking was necessary for early Christians to defend their beliefs against theological and philosophical competition, and to promote them as superior to alternatives. This tradition of questioning skepticism was preserved by Christianity within the scholarly environment developed by the medieval church, and represented in particular among the monastic and university communities. Wrongly derided as typically occupied with meaningless theological wrangling over such questions as how many angels could dance on the head of a pin,  the scholastics developed and applied an increasingly complex system of critical thinking from which no subject was exempt, including Christian belief and doctrine." ‘The myth that mediaeval theologians argued about how many angels could dance on the head of a pin originated in the prolonged humanist assault on scholasticism.’, Pettegree, ‘The Reformation World’, p. 53 (2000). ‘Post-Reformation myths still abound. Two of the most common are that in the Middle Ages, monks spent their time trying to determine how many angels could dance on the head of a pin (something first mentioned long after the Middle Ages), or even more commonly, that in those days everyone thought the earth was flat. Nothing is further from the truth.’, Wilkinson & Campbell, ‘Philosophy of Religion: An Introduction’, p. 124 (2010). Also known as ‘the schoolmen’ (a term typically used for the scholastics specifically between 1100 and 1500), these were well educated academics belonging to Christian monasteries and universities, whose era lasted from around 800 to 1500; ‘While Western scholars were assimilating the treasures of Greek, Arabic, and Jewish thought, the universities that would become the centres of Scholasticism were being fouded. Of these, the most important were located in Paris and Oxford (formed 1150-70 and 1168, respectively). “Scholasticism” is the name given to the theological and philosophical teachings of the Schoolmen in the universities.’, Duignan, ‘Medieval Philosophy: From 500 Ce to 1500 CE’, p, 122 (2010). This misses the point that by definition, members of a cult, no matter how well educated, can't be objective and truly sceptical about their own beliefs. Christianity was originally a Jewish cult and to a greater or lesser extent many Christian groups have been strong or weak cults ever since. Christadelphianism is certainly a mild form of cult and it even admits that it is a sect; which is a form of mild cult. The various cognitive bias's, especially Confirmation Bias preclude a sect member taking an objective, sceptical look at their own religious beliefs. This goes for most religions, not just Christadelphianism. Muslim children mostly become Muslims, even if they are well educated. One's religious affiliation is a Genetic and Geographic lottery, with faith having nothing to do with it. As an outsider watching Christadelphians claim that they are sceptical, I have to smile, remembering that I thought that I was a sceptical Christadelphian for twenty years, before I deconverted. As someone who has experience both within and also having left the faith, I can tell you, as all EX-Christadelphians will tell you, that with the greatest respect in the World; you have no idea what you are saying. Sceptical you are not. By definition sect members cannot be sceptical. It usually takes a big shock in one's life before a sect member can become truly sceptical. It's not sheer intelligence; although in the case of Rob Hyndman it possibly was his intelligence; coupled with a truth seeking, error avoiding, statistics trained mind. I studied statistics almost fifty years ago. You have to look through the "fog" of data and tease out the truth. You have to deliberately "switch off" Cognitive Bias's to avoid error. Rob is a Professor of Statistics; I think that is relevant to the way that he deconverted. You just watch; he'll never reconvert. His mind won't let him. Notice also that it was realising the truth of Evolution that first derailed his Christadelphian thinking. That shock caused him to start questioning everything else for two and a half years, until he finally concluded that the Bible was not inspired after all. For me it was the break up of my marriage coupled with the shock of treachery by a brother in the truth. Shocks like that "trip" your mind into a new way of thinking that is sceptical. It breaks the cycle of Confirmation Bias that traps you within its walls. I think that it was Lenny, or Chris who on B-P said that he once had a girlfriend and he almost heard the "click" when she went off him and afterwards saw everything in a new light. That's how it is when you become truly sceptical and then deconvert. It's like waking from a long night's sleep, full of dreams and you get out of bed feeling that something has changed; you will never be the same again. Becoming truly sceptical and deconversion are two different things. But they are very closely linked. Even if you don't deconvert after learning real scepticism, you never view Christadelphianism the same again. You B-P people have done wonderfully well trying to become sceptical. Much of Ken work is highly sceptical and it is to be praised. But as one who has escaped the cult/sect of Christadelphianism I have to tell you that your kind of scepticism still has a long way to go. Those Cognitive Bias's still hold you in the vice like grip of your childhood indoctrination and conditioning; it is incredibly hard to break free from. Most of you will never manage it. Very sad. But some will and when you do, you will rejoice. An unfettered mind is a wonderful thing.